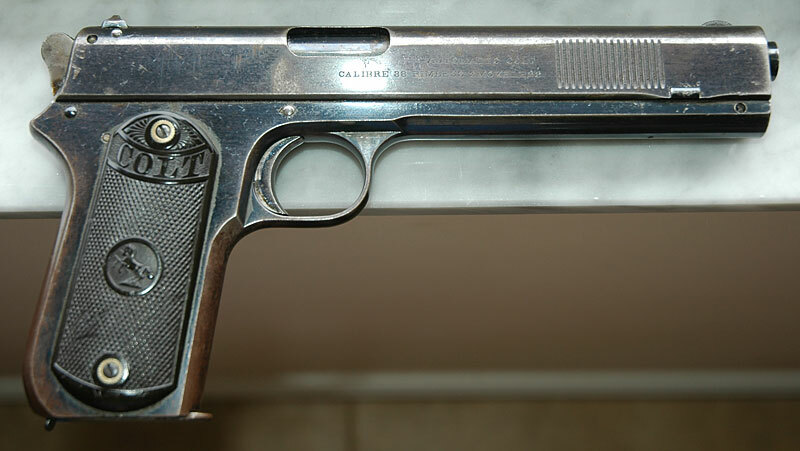 Model 1900 Sight Safety Altered Serial Number 4227 - This pistol is a very late variation of the Model 1900 with front plunge milled serrations, high polish blue, rounded hammer and factory altered sight safety. 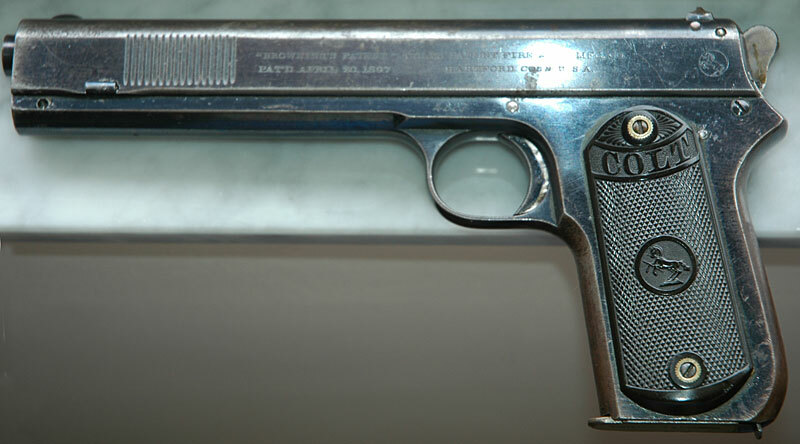 Gun was shipped in 1902 and is just 47 guns from the last Colt Model 1900 manufactured. 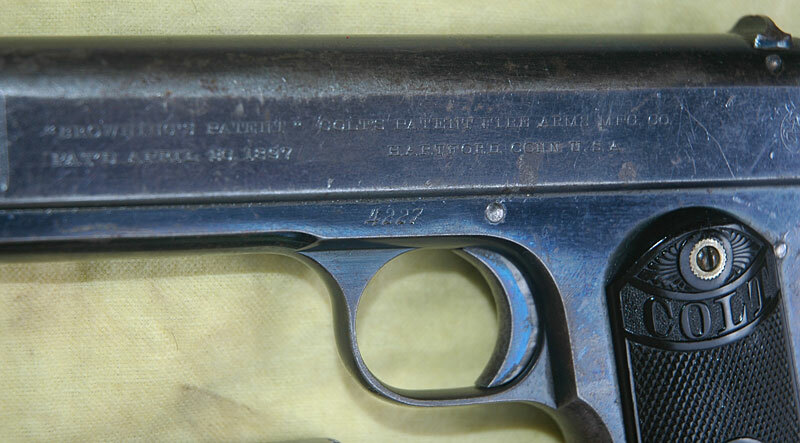 Pistol has full nickel magazine marked "PAT'D SEPT.9.1884." 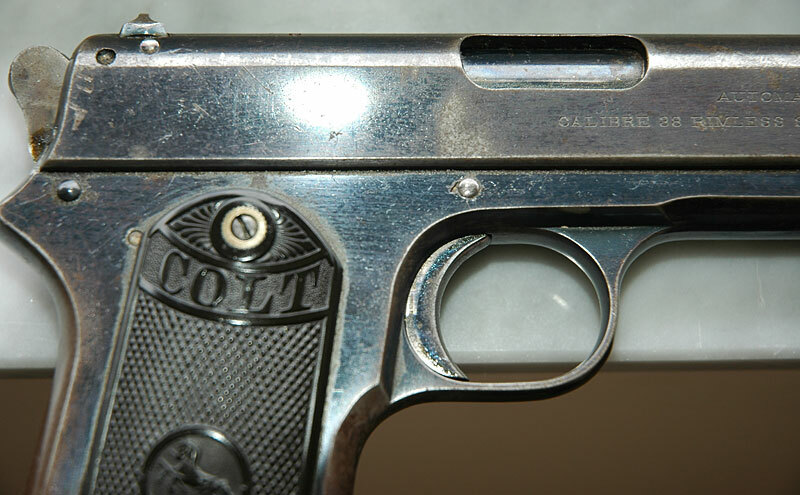 Right side slide inscription - "AUTOMATIC COLT" over "CALIBRE 38 RIMLESS SMOKELESS". Factory Alteration to Sight Safety - sight safety has been removed and plugged with a piece of steel. A second pin was inserted in the rear of the slide to secure the block. Top of slide was modified with a dovetail to accept the new rear sight. 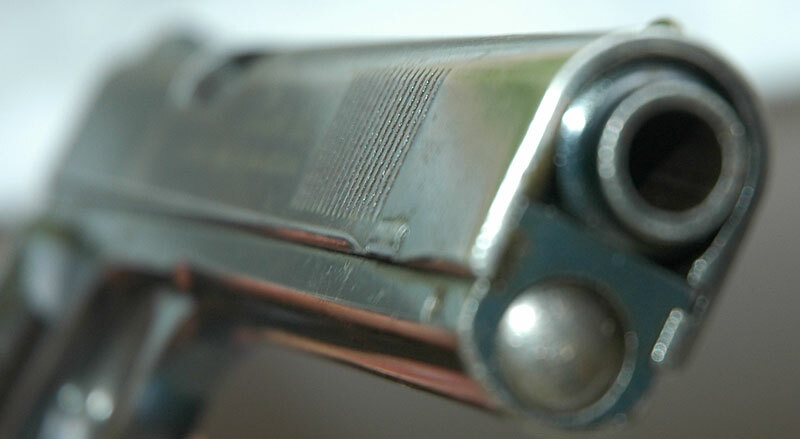 Serial number 4227on left side of frame, above trigger, Browning's Patent - slide markings.